‘Baglio di Pianetto’ was born in 1997 by Count Paolo Marzotto’s dream and aspiration: he wanted to create a Sicilian chateau for the production of high quality wines. Today it is an Agrirelais and an established company, which remarkably represents all over the world the quality of the wines produced in this Mediterranean island. 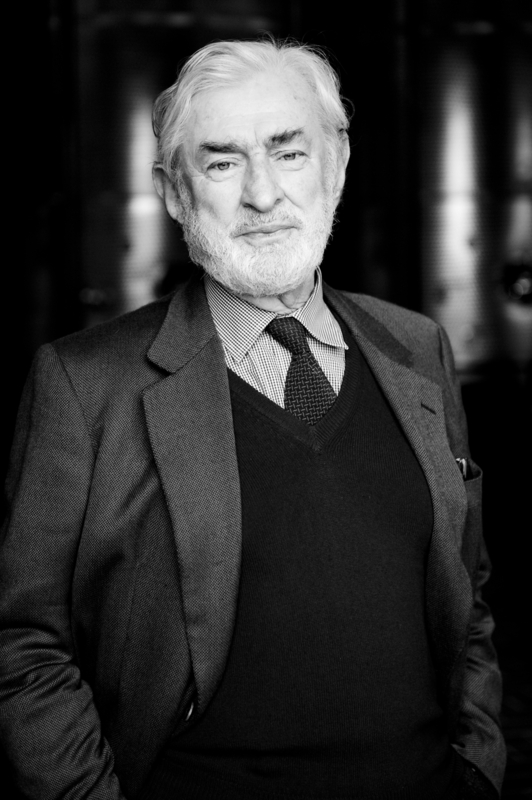 Creativity and perseverance, confidence and human warmth have guided Marzotto’s choices in the foundation of his company whose hectares of vineyards are located in two localities: at Pianetto, in the municipality of Santa Cristina Gela (in the province of Palermo), and Baroni, in the municipality of Noto (in the province of Siracusa). Thus, from Veneto to Sicily: Marzotto family has invested on this choice for savouring the taste of a land rich in temperament and traditions, and for producing wines characterized by the marked Sicilian style, which, depending on the occasion, can be delicate and elegant, intense and youthful. Origins is the first expression of the founder’s dream, at the roots of the realization of Baglio di Pianetto: to produce wines which combine the elegance of France to the character of Sicily. This gave rise to ‘Ficiligno’, ‘Shymer’, and ‘Ramione’, three blends of Sicilian and French refined and balanced grapes, wines which can enhance the everyday occasions and accompany the exceptional ones. 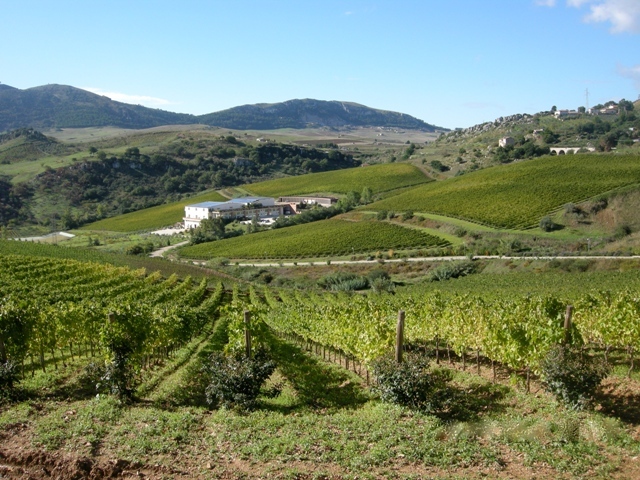 Among Riserve, created in order to pursue quality, uniqueness, and innovation, there are ‘Ginolfo’, ‘Salici’, ‘Cembali’, ‘Carduni’, and ‘Ra'ís’, autochthonous and allochthonous mono-varietal wines. They are the elegant and refined expression of vine in its purity and interaction with the land in which it is grown, ideal for enhancing important courses and moments. Finally, there is the B.D.P. 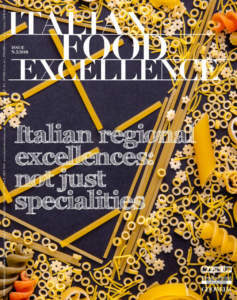 Y project, which, preserving its priority on both quality and eco-friendly policy, brings Sicily in the world through fresh and pleasant products, characterized by a strong Sicilian connotation, ideal for accompanying daily life. The wines which over the years have allowed both growth and success of ‘Baglio di Pianetto’ belong to the first two product lines. They are ‘Ficiligno’ and ‘Ramione’, two new creations for this area, Count Paolo Marzotto’s lucky intuitions, and ‘Cembali’, which represents the Sicilian tradition par excellence. 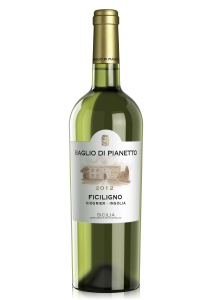 Ficiligno, made with Insolia and Viognier grapes, is a fresh and delicate wine, characterized by a pale yellow colour with greenish hues and an intense, persistent, and very fine scent; its taste is full -body and balanced, characterized by harmony and persistence of aromas. It goes well with fish, oysters, appetizers, and salads. 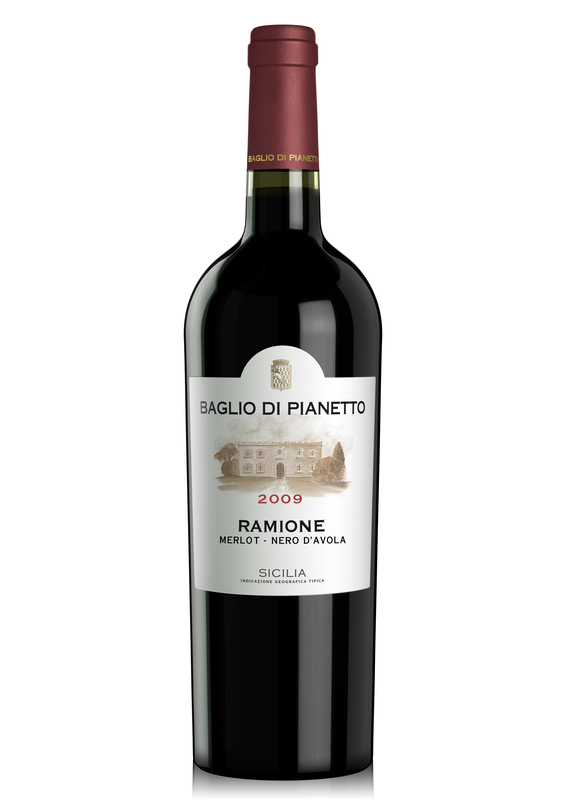 Ramione, produced in 70,000 bottles per vintage, as ‘Ficiligno’, alongside with this one represents about 25% of total production and is made from Merlot and Nero d'Avola grapes. Its colour is ruby red; its scent is intense and harmonious, and at first glance it reminds red berry fruit aromas, which precede the ones of vanilla and spices. Its taste confirms to be intense and very persistent; it is ideal for enhancing meat-based courses. Cembali is grown and vinified in pureness when Nero d'Avola vine, Noto, is at its utmost expression. Its production is of about 15,000 bottles per vintage and it represents 2% of the total production. It distinguishes itself for its ruby red colour, and offers aromas of black fruit and spices, which blend with notes of undergrowth. Its taste is intense, rich and generous, long and deep, perfect combined with first and second courses, as well as cheeses. All the vineyards of the company have boasted organic cultivation for years, and vinification, too, has been organic since 2010. 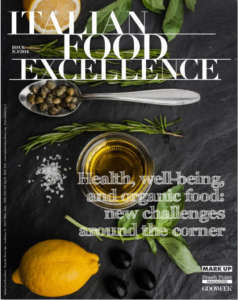 For this reason, in 2013, the company has started the process of the organic certification for its ‘DOC Sicily’ and is currently assessing the ISO 9001 certification, alongside with BRC and IFS, concerning food process. 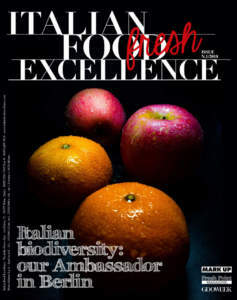 Ficiligno, Ramione, and Cembali, which in 2013 represented about 32% of the proceeds of sales, are today present in all the 26 countries to which the company exports, especially in North America, Germany, and Russia. Baglio di Pianetto addresses the Ho.Re.Ca channel, with which it has established, alongside with foreign partners, a direct relationship all over the world. This way, it has reached a percentage of export consisting in 47% of its proceeds of sales. Alberto Buratto, CEO of ‘Baglio di Pianetto’, explains: «For 2014, we plan to exceed the threshold of 50%. 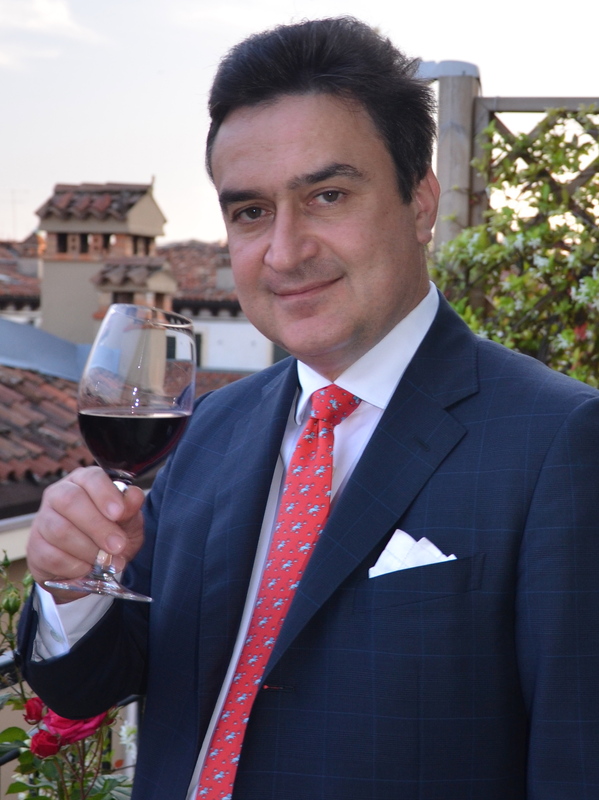 We are growing year by year and our goal consists in establishing our brand at an international level, and allowing knowing more and more our products, besides in Italy, in Germany, North America, Russia, Japan, and Brazil, too, with top wines as well as our new products, including Agnus, our last creation. We also intend to devote more attention to all wine esteemers, Italian and foreign ones, who will visit us and spend some time in our Agrirelais. Honesty, perseverance, mutual respect, a coherent and highly motivated working group, collaboration, and quality are the pillars on which Baglio di Pianetto has stood all these years. These values will ​​continue to guide us in the future, too».